Happy birthday April babies! Your birthstone, the diamond, is the rich cousin of graphite. Diamonds are the rich cousins of graphite. Both are crystalline forms of pure carbon. The enormous differences in their properties are a result of the way the carbon atoms are bonded together. In graphite, carbon atoms are arranged in sheets that easily slide past each other, which makes graphite ideal as a lubricant and, of course, pencil lead. Diamond crystals, on the other hand, are a tight-fisted network of carbon atoms securely held in four directions, making it the hardest naturally-occurring substance in the world. YOUR NEW FAVES – Here are our best sellers with over 6,000 5-star reviews! 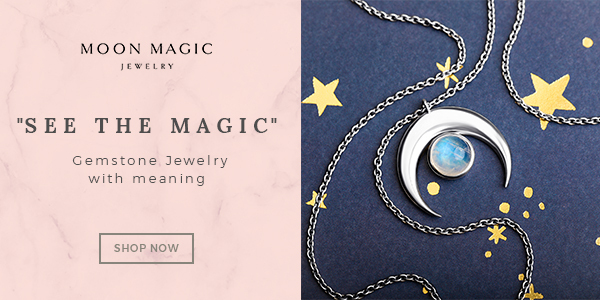 Fall in love with our magical jewelry – Shop Now for your favorite! “EVERY BLONDE SHOULD GET ON SPEAKING TERMS WITH THE FAITHFUL AQUAMARINE. THERE IS NO PRETTIER COMBINATION THAN THE PALE BLUE OF THAT GEM AND THE GOLD OF THE NATURAL BLONDE. I SAY ‘NATURAL BLONDE,’ BUT IT MAKES NO DIFFERENCE TO ME WHETHER THE BLONDE BE NATURAL OR INTENTIONAL BECAUSE I AM EXPLOITING AQUAMARINES, NOT BLONDES. 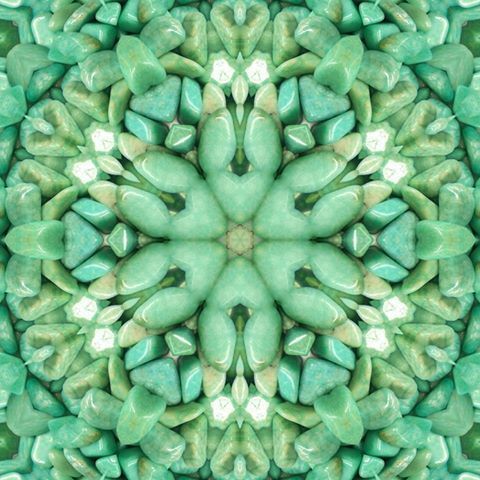 March Birthstones – Zodiac Gemstones: Aquamarine, Bloodstone, Topaz, & more! 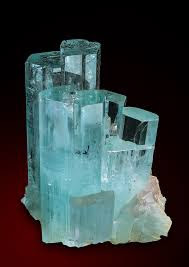 There are two gemstones on the modern birthstone list which connect with March and they are Aquamarine and Bloodstone. 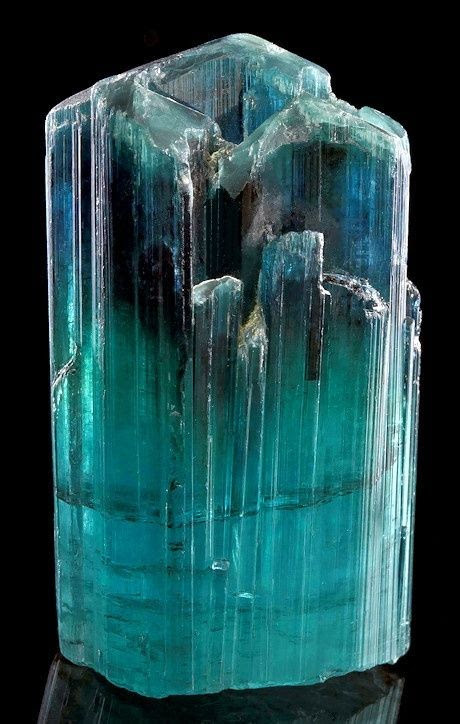 Aquamarine is a beautiful gemstone with rich color – it is known to be a symbol of youth, health, and hope. Aquamarine’s color ranges from stunning blues that can have a touch of green to intense shades that display depth in tone and color. It is a lovely stone that makes beautiful jewelry and gives a wonderful accent to spring and summer wardrobes. Although we know that maintaining balance in our lives is a key to wellness, it is often a challenge to do so. Life on Earth can be demanding, stressful, and even chaotic at times, which makes it harder to achieve, let alone maintain, a state of balance. This is especially true during the holiday season. As we rush around in our daily lives, juggling responsibilities of home, work, family, and friends, the added pressure of the holiday season is a recipe for imbalance and overload. 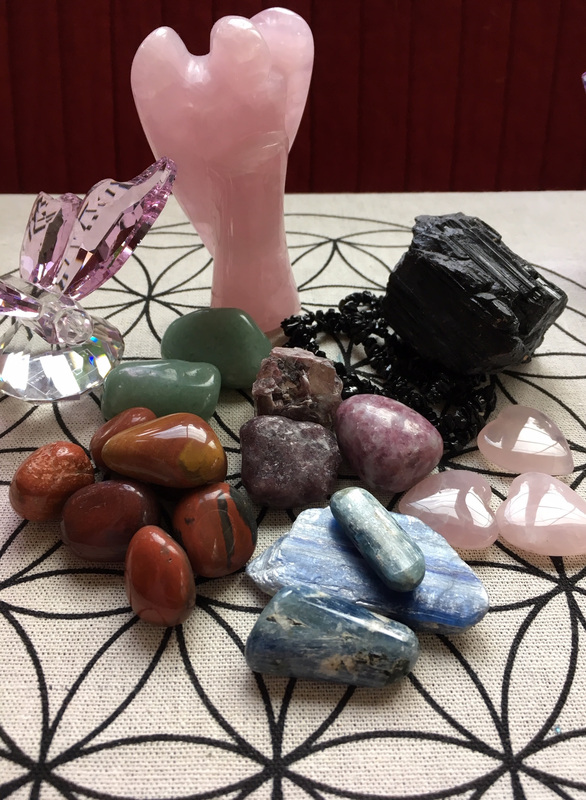 So, this holiday season, allow some crystal therapy into your lives, and mindfully work with their energy to keep yours in balance. Black Tourmaline is a stone that everyone needs! You may know it as a great grounding stone, but it also cleanses the energy field, and helps to dispel negativity in the form of worry, fear, judgment, and other toxic emotions. Black Tourmaline purifies and protects, so you can feel grounded and stable through the holiday rush. Keep a piece in a pocket, and place some over the exterior doors in your home. Blue Kyanite is a wonderful choice for finding and maintaining balance. All Kyanites gently and thoroughly align and balance the 7 primary chakras. They calm and release stuck energy manifesting as emotions. Blue Kyanite has the added benefits of dissolving unhealthy emotional patterns, as well as enhancing communication with others. Placing a piece of Blue Kyanite on the 3rd eye can create a calm serene state in a matter of minutes when you’re feeling overwhelmed by your to-do list. Green Aventurine is a heart chakra stone, and carries a lovely energy that instantly lifts the spirits and supports a feeling of well-being. 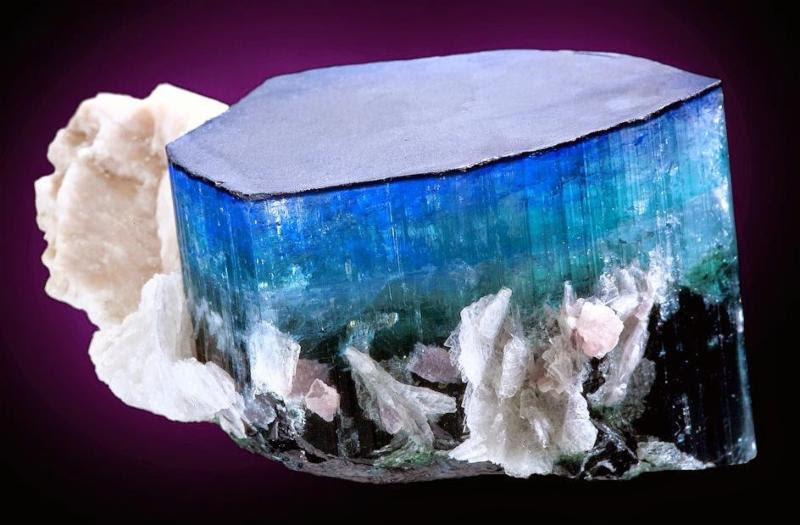 It is also a wonderful balancing crystal, and inspires optimism during challenging times and situations. With its happy loving energy, Green Aventurine supports graceful movement through the holiday season. And, because it also harmonizes interactions with others, it is a wonderful choice for holiday gatherings and social events. Wearing a green aventurine necklace or pendant keeps it close to the heart. Lepidolite is quickly becoming one of my go-to crystals, especially for stressful times when balance is needed. It harmonizes with all the chakras, but works especially well with the heart and 3rd eye. Its energy soothes frazzled nerves and dissipates stress and worry. Lepidolite calms anxiety and encourages restful sleep. It gently moves us into a receptive state for balance and emotional healing. Its energy is serene, soothing, and helps us appreciate the lessons in challenges. Carry Lepidolite in a pocket for a calm balancing influence and place it under your pillow for relief from insomnia related to holiday stress. Red Jasper is the “Supreme Nurturer”. Offering stability and emotional balance, Red Jasper works slowly but steadily. Keeping Red Jasper in your environment promotes a grounded outlook, a deeper connection to Mother Earth, and an ability to recognize the source of chaos in our lives, thus providing the opportunity to restore order. Red Jasper has a very practical and earthy vibration that feels comforting and familiar. It also restores strength and vitality depleted by stress or illness. Red Jasper calms and balances the emotions when used as a worry stone. Rose Quartz is a universally beloved stone. The gentle, nurturing energy of this delicate pink crystal is pure love – unconditional and for all. Its soothing vibrations are calming as they release tension and restore balance to the emotions and the entire energetic body. Rose Quartz is the quintessential heart chakra stone. Even so, it stimulates all the chakras, harmonizing and uniting them with heart energy. Wear Rose Quartz in a necklace or pendant, and allow its loving energy to calm and smooth any emotional rough edges. Of course, this is by no means a comprehensive list. 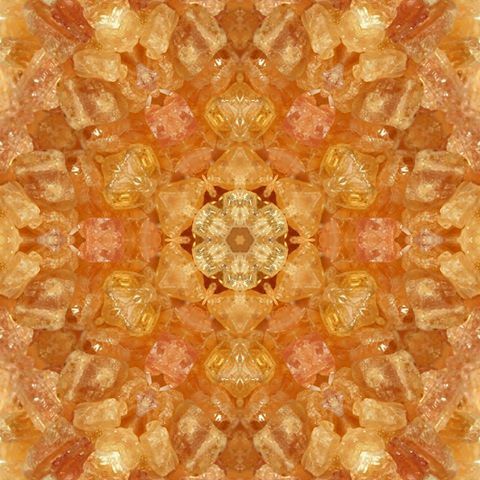 Fortunately, Mother Earth has blessed us with many crystals that restore balance, reduce stress, and support wellbeing. Some additional suggestions are Amethyst, Blue Chalcedony,Blue Lace Agate, Celestite, Moonstone, Tiger’s Eye, and Unakite Jasper. Finally, as always, allow your intuition to guide you to those that work best with you. 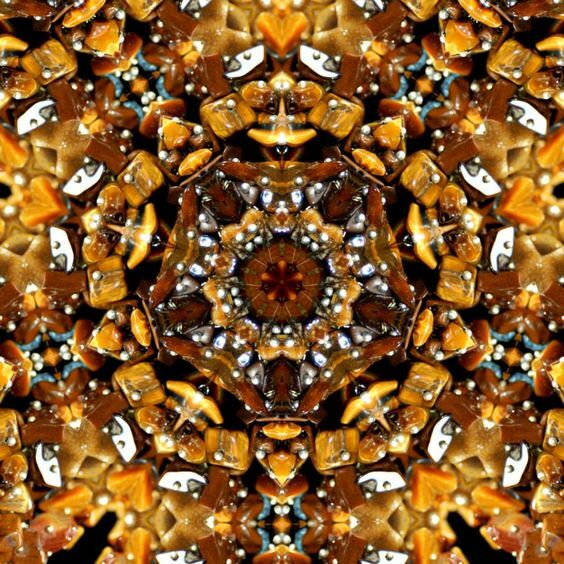 Mother Earth has you covered, so welcome some crystal therapy into the holiday season, and Sparkle on! Though some people are too grounded (raises hand), there seems to be more that need all the reminders they can get, so … Here’s one. Grounding is a foundational yet often overlooked area of spiritual and psychic development. Those who are ungrounded can appear spacy or disconnected from their environments. They may experience dizziness, confusion, and memory trouble. By not taking the appropriate measures to stay connected to the Earth and to reality, ungrounded individuals lose touch with their physical senses and allow their spiritual senses to take over. This becomes a huge issue once leaving meditation or a healing session to return to the physical world. It’s important to remain grounded during meditation and other spiritual work, too, so that one can properly absorb and integrate spiritual information. Easy ways to ground oneself include drinking water, eating root vegetables, or hugging a tree. Exploring nature, walking barefoot outside, and gardening are other great options. Archangels Michael and Metatron are able to help ground and/or keep one grounded (just remember that one must request their help to receive it!). 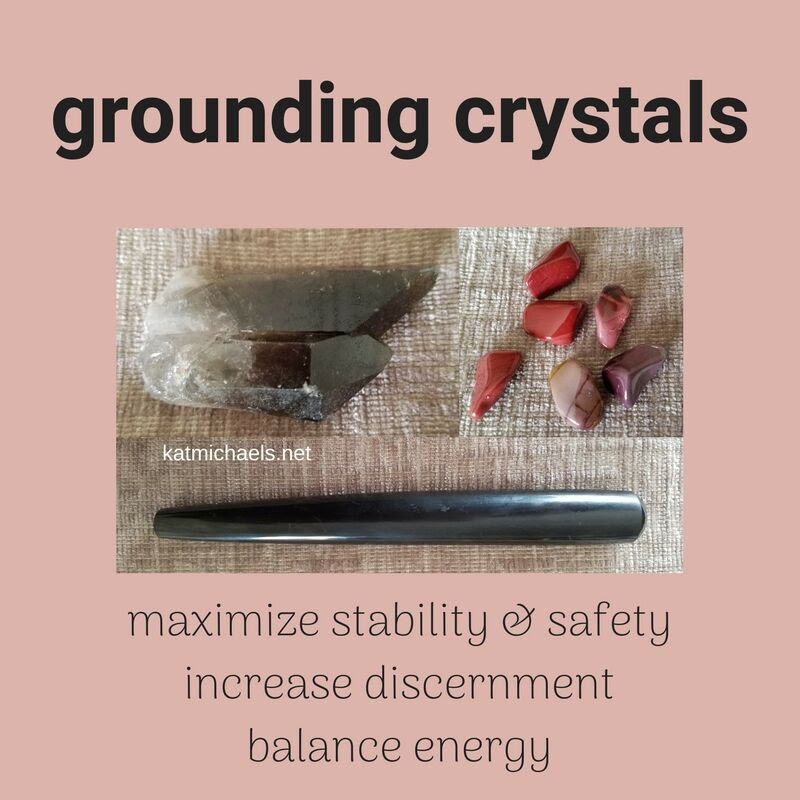 Visualization and certain crystals also work extremely well for grounding. Whatever grounding method is chosen, it’s best to employ it as a daily practice. For a grounding visualization, imagine that your feet are connected to the Earth with roots. The roots can be made of any natural material that resonates – they can be cords of light, actual tree roots, or lines of metal or stone. You may wish to do a short meditation to determine the best intuitive “grounding roots” for yourself. Set the intention that all is done in your highest and best interest and in the highest and best interest of all. Agate (all types), Black Tourmaline, Brown Tourmaline (dravite), Copper, Hematite, Jasper (all types), Petrified Wood, Pyrite, Red Tiger Eye, Shungite and Smokey Quartz. The Summer Solstice, which falls between June 20th-23rd every year (June 21st this year in the northern hemisphere and December 21st in the southern hemisphere), is known in many cultures and as many names – Midsummer, Litha, St. John’s Day, Gathering Day, Drying-Up Moon, and many others. No matter what it is called, the Summer Solstice has been celebrated worldwide for centuries as a time of light, enchantment, growth, energy, and connection. The Sun has reached its highest point and has entered into the zodiac sign of Cancer, which is ruled by the Moon, and this combination of the Sun and Moon together is wonderful to enhance the celebration of summer. It is a time when weddings take place and vows are renewed; when pregnant women are blessed (growth isn’t just for plants! ); when we can better connect to nature and all of its gifts. The longest day of the year encourages us to get outdoors and celebrate life and light. Spring has rewarded us with growth in the flowers, plants, and herbs that we’ve planted and cultivated. Now is the time to get out there and reap what we’ve sown – cut those flowers and place them in containers/vases in and outdoors; snip those herbs to hang for drying, when they can be used in cooking, potpourri and sachets. The trees are full of leaves, so no one will think it silly if you happen to walk up to your favorite tree and give it a hug and a whisper of thanks for its protection and beauty. In today’s world, men are often conflicted in regards to how to balance the expectations placed on them in their professional and personal lives. As the famous psychologist and world-renowned author John Gray, Ph.D. suggests in his latest book, Venus on Fire, Mars on Ice, men and women are hormonally wired to think and behave in different ways. Men typically find satisfaction in work, which is related to the production of the hormone testosterone. However, the levels of stress in today’s work environment and the ever-increasing demands on workers in any industry today easily create an imbalance where men feel pressured to pour all their energy into work and push their personal life and emotional relationships to the margins. Over time, this imbalance typically creates a range of health problems, including those that significantly erode a man’s self-esteem. I strongly recommend reading Mr. Gray’s book for detailed explanations and advice, but here I will turn to crystals that may help to counteract this, create a greater balance, and help in reducing stress, and thus provide you with a great foundation upon which to build a life that you desire. This New Moon in Gemini (exact on Wednesday afternoon) is going to be all about communication, ideas and projects. You will most likely feel a renewed enthusiasm for something you’ve been thinking about for a while. You may also receive new information or new insights that will help you come up with new projects. You may notice that it is easier to make plans, organize meetings, and receive cooperation from others. It may feel like the floodgate of possibilities has finally opened up and you’ll be tempted to check them all out. Being flexible and adaptable as planschange and new ideas come up is the key. Aquamarine (above) and Blue Tourmaline (the top photo and below) are the top two stones I recommend for this energy. Nurturing and supportive words will come easy now and everyone will benefit from spending time by the water, as Mercury, an astrological ruler of this New Moon, will be in a Water sign. If you want to amplify your focus and intuition and maximize the effect of this energy with my New Moon in Gemini meditation, which you’ll listen to every night for two weeks (until the Full Moon), let me know by replying to this email. When I was first asked to write this article, I had balked at the idea. After all, it is a subject that hit a little too close to home for me. I had been through what I like to call the “BCS” or “Breast Cancer Scare” when I was just 38. Although I was spared the “Big C” this time around, I did need to have a lumpectomy done on my right breast (I’m now missing a third of that breast). So, yes, I remember finding the lump, getting the mammogram, going in for surgery, etc. Looking back on that time now, I also remember, prior to that “nightmare,” that I had been under a lot of stress at the time, which may have played a part in the lump forming in the first place. And we all know by now that stress is often a precursor to illness. But this is not going to be an article about breast cancer per se. See the links at the end of this article for more information concerning crystals that deal with that specifically. This article is going to address the crystals that may help to keep our breasts healthy in the first place, so that you or someone you love may not have to deal with the “BCS.” We’re going to look at crystals that can help with most every aspect of breast health; from pain and inflammation (that often occurs during the monthly cycles, during pre-and-post-menopause), breastfeeding and lactation, and healthy breasts in general. When you’ve chosen the crystal(s) you wish to work with, you can meditate while holding one or more in your hands; you can place them near your bedside with the intention that they keep you well and improve healing; you can carry or wear them as jewelry (some folks even keep one or two in their bra), or you could make a medicine bag to carry your crystals in a pocket or purse. Whatever you choose, make sure to cleanse your crystals before and often during use. I sincerely hope that this article can help you find the answers you seek and that in some small way, I was able to alleviate some fear, confusion, or uncertainty for you and/or someone you love. I wish you blessings and good health. Using an ally, like a gemstone or crystal, is a good idea for this sign, as they are naturally empathetic to nature, and thrive best when in touch with their spirituality. Aquarius does well with stones that are light blue in color, as they are the water bearer, but can also incorporate red and yellow. Stones that offer emotional protection and grounding are beneficial, as water and air need stabilizing and warming. Silver is a good metal for Aquarius, as it aids in blood detoxification and circulation while removing negative energies. Garnet is a grounding and protective stone that brings fire, aids with melancholy and is a symbol of love and truth. It is a powerful balancer for air and the erratic influences of Uranus.